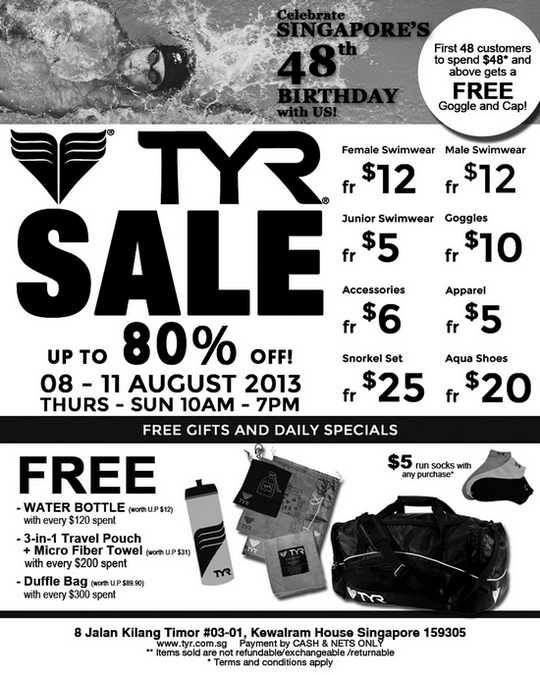 Celebrate Singapore’s 48th Birthday with TYR! Fantastic discounts of up to 80%. First 48 customers to spend $48 and above daily will get a FREE TYR Swimcap and goggle.